We have our wish trip booked! We are going to Disneyland for Liam's wish to meet McQueen & Tow Mater. We are also going to Legoland, Sea World and San Diego Zoo. 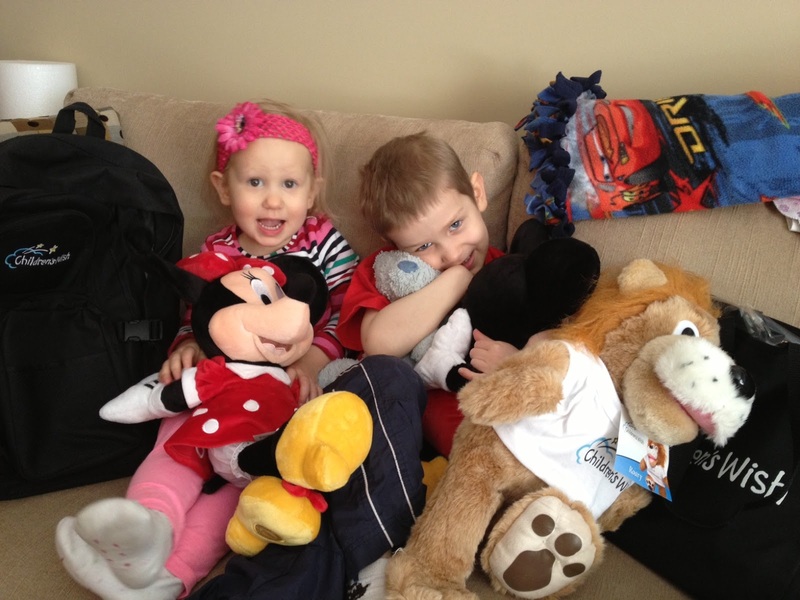 A huge thank you to Children's Wish Foundation of Alberta. It is really a huge deal to be able to have a family holiday and give Liam such a special gift. We received gifts and trip details from Children's Wish this morning. The kids are beyond excited!